Tips and advice on how to choose the best cordless vacuum cleaner for you and your home. Cordless vacuum cleaners allow you to clean more easily around the home, without being tied to the nearest power socket. They are often stick-shaped, light and manoeuvrable, and can also be handy for awkward cleaning jobs such as vacuuming your car or stairs. Originally considered as a supplement to a main vacuum (for quick clean-ups in between full-home cleans) the very best ones are now good enough at cleaning to be a replacement for your corded vacuum. Watch our video above for a quick overview of what to look for when choosing a cordless vacuum cleaner, and read on for more advice on choosing the best model. To get straight to our reviews and discover the models we recommend - and the awful ones to avoid - head to our cordless vacuum cleaner reviews. How much do I need to spend on a decent cordless vacuum? Cordless vacuums range in price from around £50 - cheaper than most corded models - to more than £450. Top-end models from brands such as Bosch, Dyson, Philips, Samsung and Shark will usually set you back several hundred pounds at least. Our cordless vacuum cleaner tests have revealed that quality generally rises with price, but spending a lot doesn't guarantee you a top-class vacuum cleaner. To find the best model for your budget, head to our list of the best cordless vacuum cleaners and sort them by price. 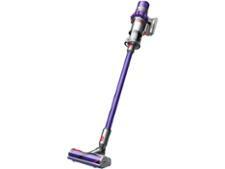 Dyson is one of the most popular cordless brands. It has a wide range of models to pick from including the V7, V8 and V10 ranges. As you go up the ranges, you get improved battery life, more features and increased capacity. Within each range you'll find various options, from 'Animal' to 'Absolute' or 'Total Clean' models. 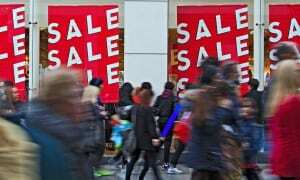 Prices vary wildly, and models are regularly on offer, which can make it difficult to know if you're getting a good deal. Head over to our guide on how to choose the best Dyson to unpick the differences between each of the cordless ranges and narrow down your search. It's also worth knowing how different Dyson models compare on the essentials, and the features worth choosing, before you pick a specific model. Check our Dyson cordless vacuum cleaner reviews to see how the different models in the range compare. Don't discount other brands, either. We've found cordless vacuums from other brands that are better at some cleaning tasks, and have longer cleaning times. See our cordless vacuum reviews to check how rivals measure up. Most cordless vacuum cleaners have a handheld cleaning mode. This is usually either a pull-out handheld vacuum, or the more common stick design where you can swap the floor tool for mini tools. You can also remove the cleaning tube entirely and attach the tools to the main vacuum unit to make a small handheld vacuum. This is great for cleaning in tight spaces, up high and in places that are difficult to reach, such as in a car. Some cordless vacuums are designed largely for cleaning floors and may have no handheld mode, or a rather clunky one. 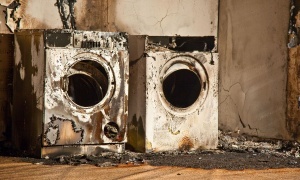 So it's worth thinking about what you need to clean before you buy. You can also buy standalone handheld vacuum cleaners. 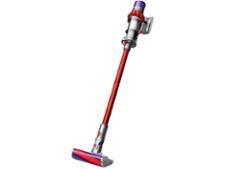 If you're after one of these, check out our handheld vacuum cleaner reviews. The amount of time you can use a cordless vacuum cleaner for depends on the type of battery it has and what setting you use it on. Lithium-ion batteries are generally the best for quicker charging and longer battery life. Run time - can vary from less than 10 minutes to more than an hour. Charging time - ranges from as little as one hour to 16 hours. Max vs standard run time - higher-powered cleaning settings can drastically cut battery life to as little as seven minutes. Swappable batteries - some cordless models have a spare battery included that you can swap over if you run out of juice. When we test cordless vacuums, we assess battery life on both the highest and lowest settings and publish the results in our reviews, so you know whether or not they live up to the manufacturer's claims. We've found models that overstate battery life by as much as a third, which could mean you get caught short when cleaning. Check our cordless vacuum reviews for our verdict on the best models. Nearly all cordless vacuum cleaners have a small dust capacity, so you'll need to empty them more frequently. The average dust capacity is 0.6 litres, compared with 2.1 litres for a corded model. Most are bagless, too, which means that you might have more contact with dust and debris while emptying than you would like. If you prefer a bagged vacuum, there are a couple of options. These also have have larger capacities. Check our reviews of the Gtech Pro Cordless and Numatic Henry Cordless HVB160 to get our verdict on whether they are a good buy. Cordless vacuum cleaners are much lighter than standard vacuums. On average, a cordless vacuum weighs 3kg, compared with 6.4kg for a corded machine. Their light weight makes cordless vacuums a fantastic choice if you struggle with heaving a conventional corded cleaner around your home. As well as weight, balance is key for a cordless vacuum cleaner. We've tested cordless vacuums that have a low overall weight but are poorly balanced. 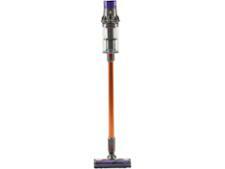 This can make the vacuum feel heavier in the hand, particularly when tackling jobs such as cleaning up high. LED lights on the floorhead - handy for illuminating dark corners. Flexible cleaning tube - can make it easier to get under low furniture. Power trigger - some models require you to hold down the power button while cleaning. This is usually to save battery life but may not be suitable for everyone. Battery life indicator - not all models have this, but it's a useful guide to how much time you have left on the clock. Should you make the switch to a cordless vacuum? Our tests reveal that only a small handful of cordless vacuum cleaners are as good as the best traditional vacs when it comes to the tough tasks of cleaning fine dust from carpets and hard floors, and sucking up hair and fluff from around the home. 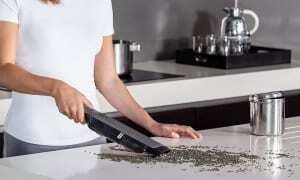 Unfortunately, there are quite a lot of cordless cleaners that don't clean well or retain allergens effectively. We've found so many really poor models in our tests that we have a long list of Don't Buy cordless vacuums to avoid. To get straight to our top picks, head to our Best Buy cordless vacuum cleaners. The best cordless vacuum cleaners will keep your hard floors spotless, and are convenient, light and easy to use. The very best are also capable of cleaning your carpets of fine dust and pet hair, just as well as a corded machine. The added convenience of a good cordless vacuum does come at a cost, though. Our cheapest Best Buy costs around £200, which is more than twice as much as our cheapest corded Best Buy vacuum. If you have a larger home, or one with lots of carpet, you may well be better off with a corded vacuum cleaner. But if you're sick of lugging a corded model around, going cordless could make cleaning much easier, if you choose wisely. Find the perfect vacuum cleaner for you with our cordless vacuum cleaner reviews or corded vacuum cleaner reviews.